Geophysical Consultants USA Canada | Personnel - THG Geophysics Ltd.
THG personnel have over 70 years of combined experience and pride themselves on staying ahead of the learning curve. Our PhD scientists continue to publish and stay active in the academic and professional community by peer reviewing manuscripts, grant proposals, and involvement in professional organizations. Our experienced field personnel are second to none ensuring accurate data collection and quality to efficiently meet your project goals. Dr. Peter Hutchinson founded THG Geophysics in 1992. Peter has over 25 years of experience working in the environmental, engineering, and exploration sectors. Peter maintains a full suite of digital geophysical instruments and is constantly developing better methods for improved data collection and interpretation. 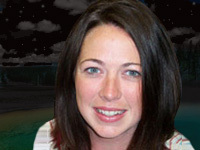 Kate McKinley is Vice President of Operations at THG Geophysics, Ltd. and serves as coordinator and technical lead of geophysical services. Kate has thirteen years of prior experience, during which she successfully completed hundreds of geophysical surveys throughout the southeast U.S. She specializes in near-surface geophysics for engineering, environmental, and archaeological applications. Kate holds a Masters of Science degree in Geophysics from Colorado School of Mines and a Bachelors of Science in Earth Science from the Pennsylvania State University. 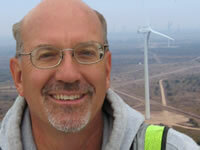 Simon Eydlin serves as the Field Manager for landfill operations at THG Geophysics. 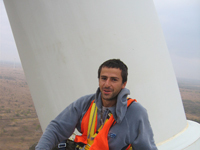 Simon has eight years’ experience in environmental and geophysical surveying. He manages and oversees all environmental sampling and surveying for THG, as well as, regularly performs leak detection and geophysical surveys. Simon earned the equivalent of a Bachelors of Science degree in Environmental Education from the Moscow State Open Teacher’s Training University in Russia and recently earned a Certificate of Environmental Science and Management from Duquesne University in Pittsburgh, PA.
Alex Balog serves as an environmental scientist at THG. He is responsible for preparing landfill and industrial site quarterly reports. He has experience with groundwater mapping, contaminant plume delineation, and groundwater chemistry. In addition to assisting hydrogeological projects, Alex also supports with geophysical field work. Alex holds a Bachelors of Science degree in Environmental Science from Franklin and Marshall College in Lancaster, Pennsylvania. Matt serves as a geophysicist at THG. His responsibilities include the collection, processing and reporting of geophysical survey data with an emphasis on the application of these data to solve geological and geotechnical problems. Matt has experience performing numerous geophysical surveys including seismic refraction/ MASW, resistivity, electrical imaging, well logging, electromagnetic imaging, and utility delineation, among others. In addition, Matt has experience conducting sedimentary basin hydrocarbon analysis. Matt holds a Bachelor of Science degree in Geology from Indiana University of Pennsylvania. Aaron serves as a geologist at THG. His primary responsibility is to assist the geophysicists in the acquisition and interpretation of geophysical survey data as it pertains to sub-surface geology with an emphasis on the engineering applications of different rock characteristics. He has conducted numerous geophysical field studies and has previously worked in sedimentary basins performing hydrocarbon analysis. Aaron holds a Bachelor of Science degree in Geology from Indiana University of Pennsylvania.